MisterWives | Do You Hear The Music? It’s the 4 most wonderful days of the year!! The 2016 Bonnaroo lineup is officially here! Bonnaroo 15! Let the countdown begin! IMOO the best four days of the year are happening June 9-12 in Manchester, Tennessee and while the lineup leaked last week it was officially released last night on Conan. 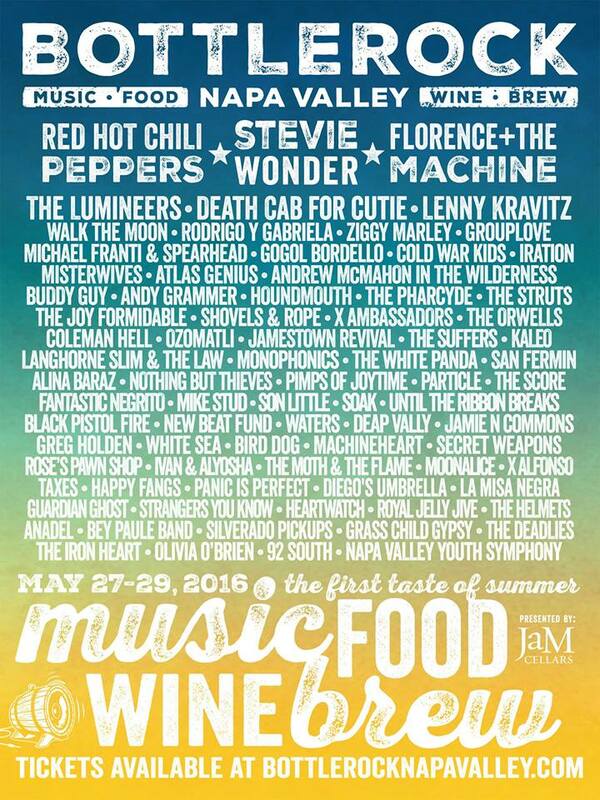 This morning Bottlerock dropped its 2016 lineup and nice one for Napa Valley. Three big headliners in Stevie Wonder, Red Hot Chili Peppers and Florence + The Machine. The return of The Lumineers will be welcomed along with big names like Death Cab For Cutie, Lenny Kravitz and younger bands like Walk The Moon, Grouplove and Misterwives. Michael Franti is back and is a great show for Bottlerock, Cold War Kids should be received well like Cage The Elephant in 2015 and smaller acts like Houndmouth, X Ambassadors, The Suffers, San Fermin, Coleman Hell, Langhorne Slim, Son Little, etc. Congrats to the Latitude 38 Ent team on another solid lineup for Napa Valley. Made it just in time before January is over. Hope you like this little playlist for January 2015.